Huge changes continue to unfold on Earth now! There is no turning back … and no staying the same. The old paradigm is crumbling; a new reality, and new ways of being are already beginning to slowly emerge. In this time of transformation, we’re all in this together. We each have a unique role to play during this time of change. Your choices and your energy make a difference, in your life, and in the realm of all that is. Archangel Metatron connects with an empowering message about this time we are living through. You will also receive an angelic cleanse and lift in frequency just by listening and connecting with Archangel Metatron. Take a breath, clear your mind… relax… and listen. Right Cick the link above to download this free .mp3 angel message to your computer, or check out the video slideshow version below, or enjoy the transcription of the message, also below. Dearest one indeed, I, Archangel Metatron, greet you in this moment in a star merkaba vortex of love and light. 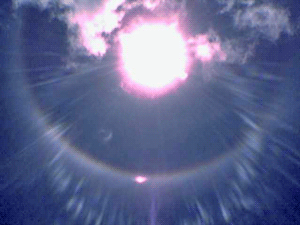 Imagine that the star, Metatron’s cube, is lowering down from above. Allow this to enter in to your space. First, at the top of your head, your crown, and as this merkaba enters in you are cleansed and you are lifted. Allow yourself to relax as the merkaba lowers down your crown, your throat, your third eye, continuing, opening your heart, removing any blockages from your solar plexus, your sacral, your root. And now imagine that all your chakra energy centers are united in a white light, a pillar of white light, at the center of this star. Relax, quiet your mind, and now lift. Lift with this energy of divine love of ascension of upliftment. Allow your vibration to increase. Allow yourself to float. And in this process of lifting and vibration there is the old, of course, which may come to the surface. As it does, as patterns that no longer serve you are illuminated, and as dense energies in your body are lifted, let them go. Let go of any fear, anxiety, or worry. Release, release it into the light and focus upon the love that is all around you. For, dearest one, there is more love and light present on the planet than ever before. But, as you know, there is also great turbulence and struggle and revolution. And where do you fit in, beloved one? You are creating change as within as without. And so as you claim your inner sacred space and sanctuary, as you find the peace within you, as you lift in love and light and connect with source, as you process through the dense energy still lingering in your being, you create a significant change in all. For, as you know, you are connected to all that is. You are a part of everyone and everything in physical and spiritual in all of reality. And so the turbulence you see in your world simply reflects the turbulence still existing within you. You are changing and so too is the world changing around you. We urge you not to hold on to the past, not to look behind you and reminisce of how things were so good in the past, but no, embrace this very moment and embrace the unknown changes before you. Trust, dear one, that as you open your heart and respond to love, to the situations around you, as you release past duality and density, and step into love and into creating positive blessings in your life, you will succeed. This time is about humanity coming together to create the beneficial changes needed in reality. You cannot do this alone and we cannot do this without you. All beings are an essential piece of the ascension. All beings have an essential role to play in the upliftment of the frequency of this planet by which you live. Know that this is a blessing, for the growth you experience and the growth the planet experience and the collective conscious and all of humanity, this growth stays with you for your soul’s journey. And so, dearest one, you are here in now a soul, a spiritual being in physical form in the plane of duality at a time when duality is fierce and at a time when you are able to shift out of old paradigms and as humanity and as individuals return to balance. Return to balance within. Balanced masculine and feminine, balanced right and left brains, balanced creation with earth and sky and with all beings. The paradigms of war, of control, of manipulation have run their course. So we invite you, dearest one who is connected to all that is, to release these outdated ways of being and responding to the world and replace with unconditional love and compassion, with conscious co-creation with one another and with earth. The time is now to step into the new earth, to begin laying new foundation, new framework for tomorrow. Do not buy into the fear or crisis talk about what will happen. Visualize a positive future for you and for your family. What does your heart call out to change in your experience? What does your guidance lead you towards? Take these steps, initiate this change, know that, yes, you can stay on autopilot, you can wait for those around you to create changes in your world. This is one form of surrender. However, you surrender too much, for you are a creator. You are a creative child of God, you are a co-creator with the divine, and you are here in the physical to consciously create every aspect of your reality. We may baffle you when we say to you, “You have always created every part of your reality.” But now, you are able to become conscious of this creation process. You are able to move out of the realm of subconscious and superconscious creation and into consciously manifesting blessings in your experience. We angels desire this for you and you see as you become the beacon of light and awareness that you truly are in spirit, as you cleanse up your act releasing the hardship and pain and struggle of past and entering into complete love, you change your energy signature. You change the frequency you are broadcasting that mixes and intermingles with all. Each being on the planet sends out an energy created of thought, of intention, of belief, and even of worry. Your actions, your very thought, create the energy that swirls around you, the aura and beyond. And so as you become illuminated and pure, united with your spiritual form, the energy you contribute to the collective whole is love. Serves humanity in lifting as well and you will notice that as you progress on your spiritual path of awakening, those dearest to you will begin to change by default, will begin to open, will be more willing, will be more aware, and more receptive simply by your actions. And, dear one, much of this action is inward, is within. Enlightenment is an inward journey and this is paramount to your ascension now. To simply be. Still mind, open heart, and think or say, “I invite my highest, most loving possible guides and angels to come in, surround me, lift me in vibration, assist me in tuning in to divine love.” Open your heart and journey inward to the still, calm, silent awareness within. Free of judgment, free of doubt. If these come up, simply let them go and return your focus to the still, calm, quiet, inner sanctuary. Open your heart and from this inward focus space we now invite the ascended masters, master healers, master teachers, guides, and angels who can most serve you in progressing, in taking your next step now in energy. Come in, connect, lift, feel the healing light and love flow through you. Feel your personal vibration increase. Let yourself relax into this. And you may stay in this energy of love, of compassion, of hope as long as you’d like. Know that the more often you unite with source, the more quickly your vibration and your ascension will unfold. Your power exists in the physical and nonphysical realms. Tune in to the aid available to you beyond the veil. It is close, it is here, the time is now. Open, lift, enter in, experience the love, the peace, the joy, and take action upon any guidance you receive. You are an essential piece of the puzzle of the unfolding of the change that must occur on the planet. Participate. Create what you desire, for if you do not, change will still occur but perhaps not in the form that most serves you. But if you intend, if you love, if you open, and if you plant seeds, all things are possible and the changes you seek will come to be. 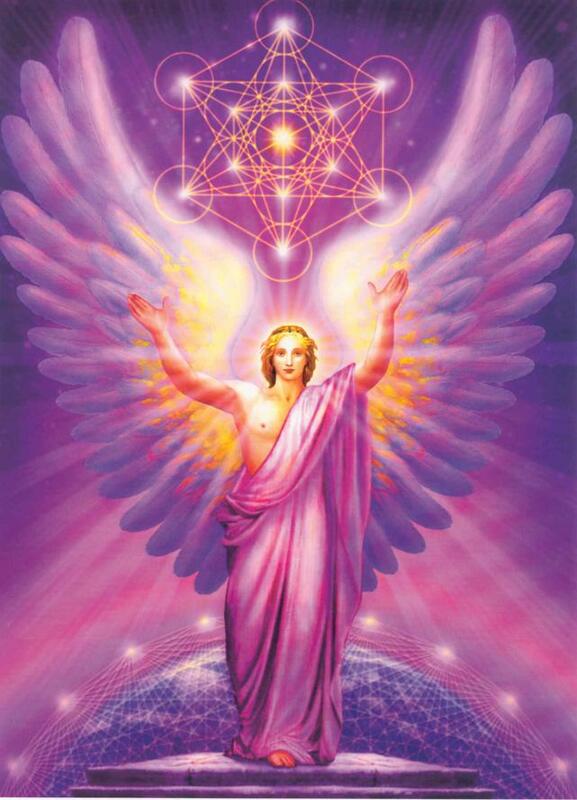 I, archangel Metatron, draw your awareness once more to the merkaba star around you for a final cleanse and shield. Imagine this around you at any time you desire protection, or bring the star in to cleanse your energy, heal your chakras, lift your vibration. I, Metatron, am always near. Call upon me at any time. You are loved, you are so loved, you are loved. Goodbye for now. Am amazed by this message I’ve read here. Is this real. Am not doubting,but I want to know if I can talk to all these aforementioned Angles and how do I know they’re with me every step of the way?.